Popcorn is corn that has puffed up and expanded after experiencing high heat. 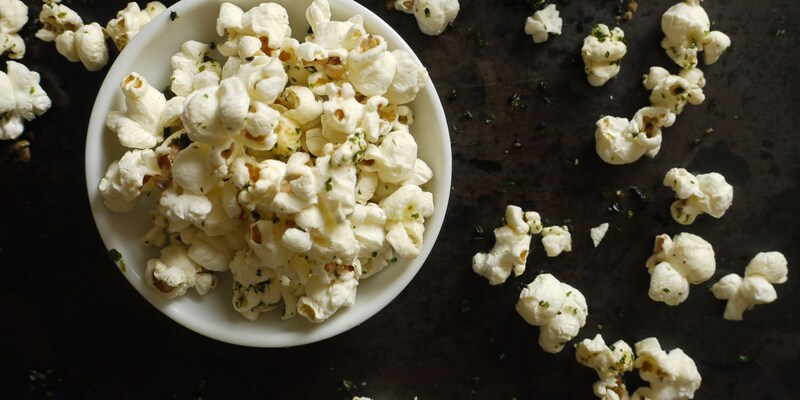 Cooked with a variety of flavourings, popcorn makes a delicious snack, as well as a tasty addition to a variety of sweet and savoury dishes. For a classic snack, try Marcus Wareing's honey mustard popcorn. Also check out Shaun Rankin's irresistible popcorn brownies, and Shaun Hill's popcorn chicken.